The ‘People’s Climate Rally’ at the 2017 Petroleum Conference in Taranaki will include protest, workshops and entertainment. 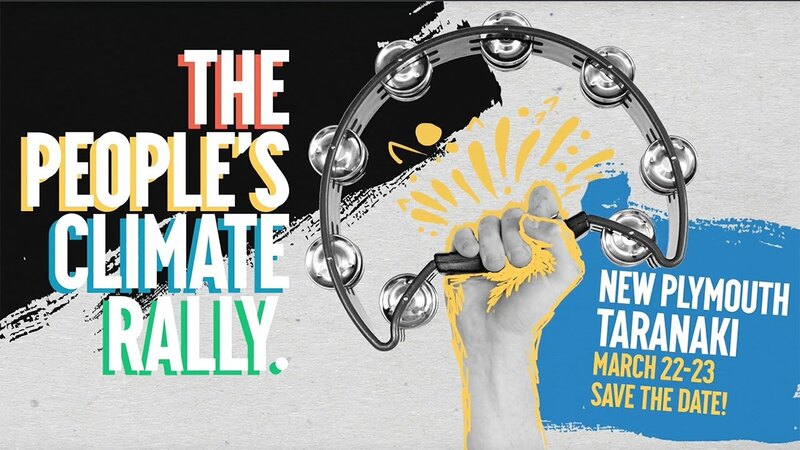 The rally is being organised by Taranaki locals and other groups working on climate change, fracking, oil and gas drilling, and social justice. "Climate change is here. Unite union members were almost killed in West Auckland last week when floodwaters spilled onto electrical equipment in a fast food restaurant. Climate change isn't something that low paid workers can buy their way out of. You won't find Unite union members buying $100,000 "green" electric cars, or jetting off to safety when the next climate disasters hit. For us, the fight for climate justice is literally a fight for survival. - Gary Cranston: Unite Union organiser, West Auckland, Northland and environmental justice spokesperson.